The University of Evansville’s College of Engineering and Computer Science recently held its annual celebration for Engineers Week. Several engineering students were announced as new inductees in the Tau Delta Kappa engineering honor society by Jared Fulcher, UE assistant professor of mechanical engineering. Other engineering students were recognized by the college and the Office of Development. 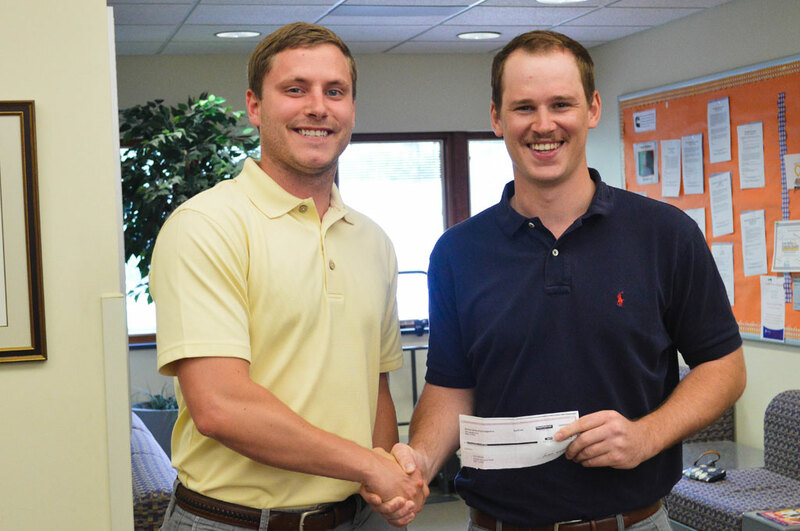 UE civil engineering student Marcus Gahagen received the Paul “PR” Brown Spirit Award. This award is presented annually to an engineering major who has been nominated by the faculty and has completed at least four semesters in good academic standing, who is an encouragement and help to his/her fellow students, and who demonstrates leadership in fostering cooperation and camaraderie among the engineering students. UE computer science student Justin Banks received the James M. Hall, Jr. Memorial Award. This award is presented annually to a student of the junior engineering class who is considered by the faculty to be the most outstanding based on scholastic achievement, extra-curricular activities, character, responsibility, attitude, and potential for professional growth. The Engineers Week Reception was hosted by the UE student chapter of the Society of Women Engineers (SWE) and the Dean’s Advisory Council for the College of Engineering and Computer Science. It was sponsored in part by the Evansville-Owensboro Section of IEEE, the College Career Center Consortium, and the UE Center for Career Development. David J. Unger, University of Evansville professor of mechanical and civil engineering, recently published the technical article “Free Streamline Hydrodynamic Analogy for a Linear Elastic Antiplane Slot Problem with Perfectly Plastic Ligaments at its Ends,” in the Journal of Elasticity, Volume 132, pages 261-270 (2018). UE alumna Mary (Dial) Kerstein recently received the American Council of Engineering Companies (ACEC) of Indiana 2018 Young Engineer of the Year Award. ACEC Indiana annually recognizes several individuals for their contributions to the consulting engineering professions. Kerstein received the award for her well-rounded involvement that parallels ACEC Indiana’s mission and objectives. Kerstein is an active member of Women’s Transportation Seminar of Greater Indianapolis for four years and currently serves as vice president. Her passion for encouraging young women to go into STEM related fields is why she is a very active member of a number of young professional/education committees in professional and industry organizations, including the Young Professionals Committee for Aviation Indiana and the Education Committees of ACEC Indiana. The Journal of Transportation Engineering, published by the American Society of Civil Engineers (ASCE), recently selected Immanuel Selvaraj, associate professor of civil engineering, as an ASCE 2017 Outstanding Reviewer. The journal contains technical and professional articles on the planning, design, construction, maintenance, and operation of air, highway, rail, and urban transportation, as well as pipeline facilities for water, oil, and gas. The University of Evansville’s annual Engineering Excellence Day is set for Saturday, March 24, from 11:00 a.m.-2:00 p.m. on the first floor of the Ridgway University Center This event is free and open to the public. Projects designed and built by teams of UE engineering student will be on display outside Ridgway University Center. The students will be on hand to explain how their projects were designed and created. The students will also be presenting “Real Talk” from 1:30-2:00 p.m. in Vectren Lecture Hall, Room 100, in the Koch Center for Engineering and Science. During this activity, prospective students, parents, and anyone with an interest in engineering can find out what it is like to be an engineering student at UE. For more information, contact UE’s College of Engineering and Science at 812-488-2651 or kh209@evansville.edu. David J. Unger, professor of mechanical and civil engineering, recently published a journal article titled, "A theoretical resistance-curve based on nonproportional plastic strain," in the International Journal of Fracture, Volume 210, pp. 207-211, (2018). The College of Engineering and Computer Science at the University of Evansville announces open registration for its annual engineering summer camps. The Engineering OPTIONS for Middle School Boys summer career exploration program is a week-long day camp opportunity for middle school boys currently in grades 6, 7, or 8 and elementary school boys currently in grade 5. It will be held daily at UE from Monday, June 18-Friday, June 22. Registration deadline is April 1. The Engineering OPTIONS for Middle School Girls summer career exploration program is a 3 ½ day residential opportunity at UE for middle school girls currently in grades 6, 7, or 8. The program begins on Sunday, June 10 and concludes Wednesday, June 13. Registration deadline is April 1. The Engineering OPTIONS for High School Girls Harlaxton Experience 2018 will be a 10-day program in London and nearby Harlaxton College, UE’s living learning center in Grantham, England. The program is for high school girls currently in grades 9, 10, or 11 who have completed geometry. The program begins Thursday, June 28, and concludes on Saturday, July 7. Registration deadline is February 12. Participants in UE’s Engineering OPTIONS programs will have a better understanding of what types of opportunities are available in fields most closely related to science, technology, engineering, and mathematics (STEM). Learn more and register on the UE Engineering OPTIONS webpage. 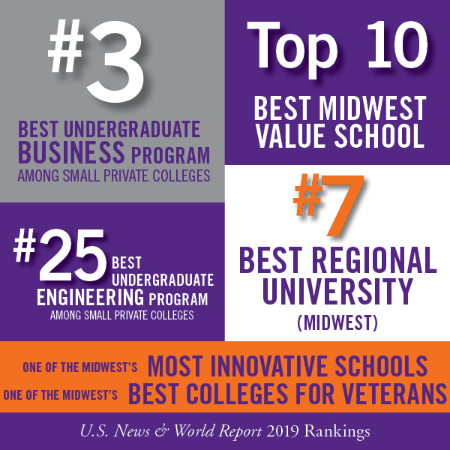 Among other honors, the University of Evansville has been named a Best Midwest Value school in the annual Best Colleges rankings by U.S. News & World Report. UE was ranked third, up 10 spots from last year. This ranking is based on the school’s academic quality and net cost of attendance for a student receiving the average need-based financial aid. UE was also a top-ten institution in the region -- ranked ninth among 165 institutions in the Best Regional Universities: Midwest category -- based on measures of academic excellence, faculty resources, student selectivity, and class sizes. UE’s Schroeder School of Business was ranked as the number four Small Private Business School in the nation, moving up from the number 10 spot in last year’s list. Additionally, the Schroeder School of Business is the fastest mover among all business schools, moving up 35 places to number 183 nationally. In addition, UE was ranked at number 24 on the list of small private universities with the Best Undergraduate Engineering programs accredited by ABET. This ranking was based solely on the judgments of deans and senior faculty at peer institutions. The engineering program ranked 103 overall. 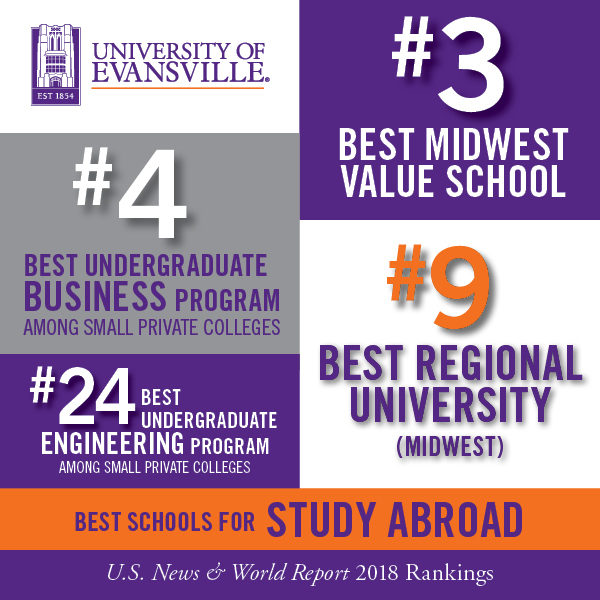 “Ranking as we did in these categories is just one of the many indicators confirming our success in maintaining the highest academic quality at the University of Evansville,” said UE President Thomas A. Kazee. The University of Evansville was also ranked seventh on the Nation’s Most Military Friendly Schools list and as a Top Midwest School for International Students. Additionally, UE was named one of the Best Schools for Study Abroad. To be considered, the study abroad program had to involve substantial academic work - a year or a semester, or an intensive experience equal to a course - and considerable interaction between the student and the culture. College presidents, chief academic officers, deans of students, and deans of admissions from more than 1,500 schools nominated up to 10 institutions with stellar examples of study abroad programs. The colleges and universities that were mentioned most often made the Best School for Study Abroad list. Both the challenge and the trivia contest are part of an event planned for Thursday, February 23, noon-1:00 p.m., in the North Lobby of the Koch Center for Engineering and Science. The activities are designed to bring awareness to a study abroad program that will enable students to travel to Nicaragua to work with Habitat for Humanity on building a home for a family in need. The public is invited to attend this free event and help Valenzuela build the birdhouse by answering trivia questions. For each question answered correctly, he will receive a crucial tool or piece of information to finish the birdhouse. Attendees will also be encouraged to bet on how long it will take Valenzuela to complete construction, and the person with the closest time will receive the birdhouse. The University of Evansville’s College of Engineering and Computer Science will soon purchase some new equipment thanks to a recent gift of $1 million. The generous donation comes from Paul and Patricia Jones, longtime supporters of UE. The Joneses have a strong connection to the University of Evansville, and as a couple have contributed immensely to the institution’s success. They met as students at the University and later married in the school’s Neu Chapel. 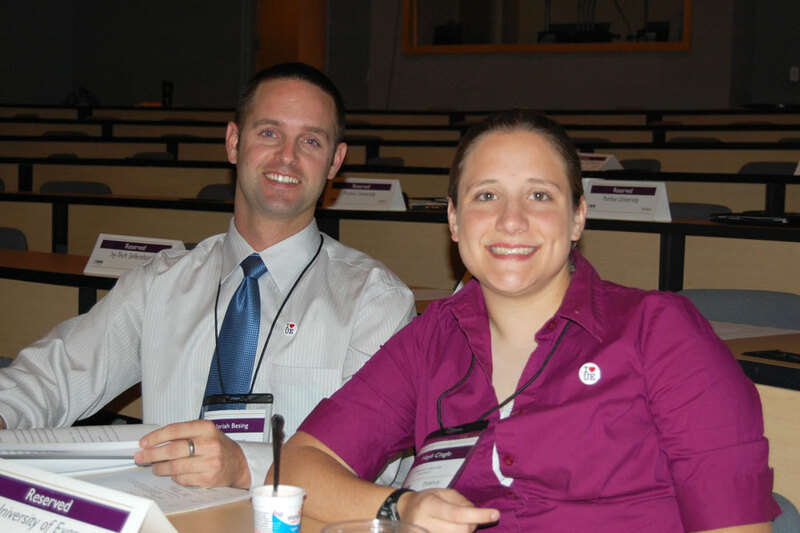 Patricia pursued a major in medical technology, while Paul earned his degree in engineering. Paul is currently a member of the University’s Board of Trustees, and is the retired chair and CEO of A.O. Smith Corporation. Items that will be bought with the Jones’s gift have long been on the wish lists of UE’s engineering programs. Equipment to be purchased includes a 3D scanner, multiple 3D printers, thermal imaging scanner, a 5-axis milling machine, and a project realization laboratory. UE’s engineering programs are designed to meet local, national and global needs. Students have the opportunity to study civil engineering, computer engineering, electrical engineering, mechanical engineering, and computer science. UE also offers a biomedical option in both electrical and mechanical engineering and a certificate program in energy engineering that prepares current students and graduate engineers for opportunities in alternative and traditional energy technologies; an area believed to be key to developing the economy of the region. The University of Evansville has again been named one of the Best Regional Universities: Midwest in the annual Best Colleges rankings by U.S. News & World Report. UE was eighth in this year’s ranking, which is based on measures of academic excellence such as student graduation and retention rates, faculty resources, student selectivity, and class sizes. The list includes approximately 200 schools, and rankings are designed to help prospective students and their families evaluate college choices. UE was also named on the Best Value – Regional Universities (Midwest) list. This ranking is based on the school’s academic quality and the net cost of attendance for a student receiving the average need-based financial aid. 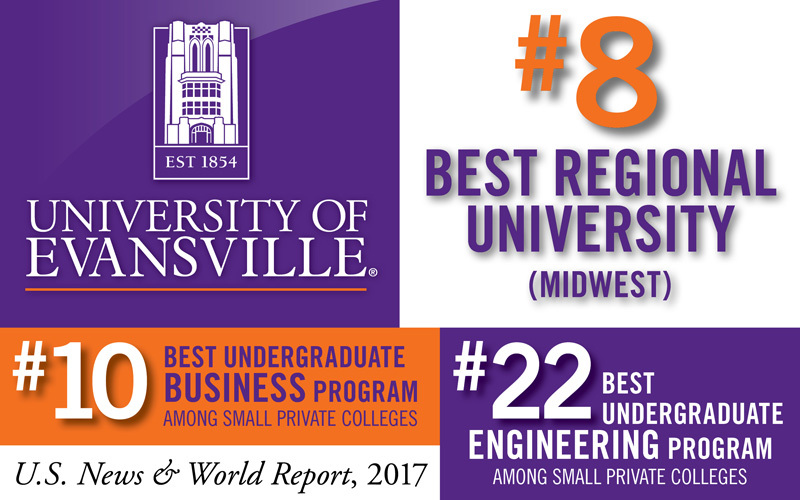 UE was listed in other Best Colleges U.S. News & World Report rankings as well, including: Best Colleges for Veterans, a top 10 Best Undergraduate Business Program among small private colleges, and a Best Undergraduate Engineering Program. The Best Colleges rankings are available online at www.usnews.com/colleges and will be published in U.S. News & World Report’s Best Colleges 2017 guidebook on newsstands later this month. University of Evansville associate professor of civil engineering Mark Valenzuela has been awarded the University’s Eykamp Prize. This is the first year for the award, which was presented during UE’s Fall Conference on Tuesday, August 16. The Eykamp Prize was established by Richard and Rita Eykamp to recognize extraordinary contributions made by UE faculty to the University. The Eykamps are long-time supporters of UE with a strong connection to the institution. Rita Eykamp is a graduate of UE and a life trustee of the University. Valenzuela earned his bachelor of engineering degree in civil and environmental engineering from Vanderbilt University, and his doctorate from Cornell University. He joined UE’s faculty in 1999. Under his leadership, UE entered its first regional concrete canoe competition in 2001. By 2005, the team was competing at the national level. UE has hosted the regional competition twice on campus; and is distinguished as the smallest university to ever host the national competition. Well-respected and much loved by his students, Valenzuela serves not only as an advisor in academic matters but also offers them guidance in career planning and personal development. The Alumni Association recognized him with the Outstanding Teacher Award in 2003 and 2013. He is the only member of the faculty to receive this honor twice. Recently Valenzuela led the campus-wide effort to gain re-accreditation from the Higher Learning Commission. This major commitment of time and energy was recognized when UE received an important confirmation from the commission that the University operates in an arena of excellence with a commitment to continuous improvement. Nineteen University of Evansville civil engineering students represented UE’s chapter of the American Society of Civil Engineers (ASCE) at the annual Great Lakes Student Conference held recently in Chicago, Illinois. The event was hosted by the Illinois Institute of Technology. Mark Valenzuela, UE professor of engineering and the concrete canoe faculty advisor, accompanied the UE students to the conference. Over 300 students from 19 civil engineering programs in Indiana, Illinois, and Wisconsin attended the event. 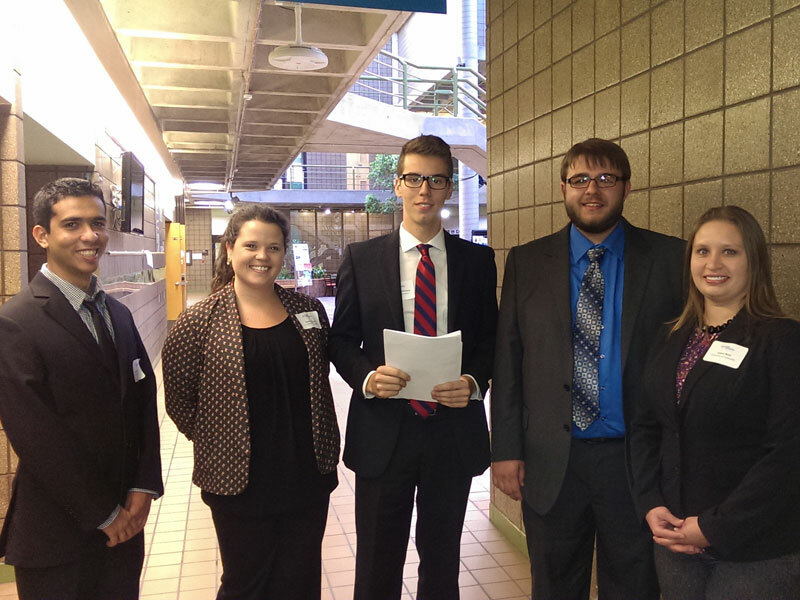 They participated in professional ethics presentations, academic competitions, and networking events. UE’s Aces concrete canoe team won second place at the regional level behind the University of Wisconsin-Madison. In the overall conference competitions, UE placed fifth, ahead of such schools as Purdue, Northwestern, Notre Dame, Rose-Hulman, University of Southern Indiana, Bradley, and Valparaiso. The concrete canoe team consisted of the following UE students: Erich Hopf (project manager), Manuel Jara Perez (team manager), Alexis Sorrell (team manager), Samantha Shuler (team manager), Meredith Secrest (team manager), Shannon Gates (team manager), Trent Vowell, Jacob Slick, Samuel Brinegar, and Ryan Freeman. Surveying: UE students Stuart Watson, Donald Hubbard, and Trent Vowell determined the height of a tower on the IIT campus. Materials: UE students John East, Hannah Kirk, and Hashem Hatahet tested a pervious concrete slab that was designed by their junior-level construction materials class to allow water to flow through the concrete to prevent ponding on streets and parking lots. Environmental: UE students John East, Hannah Kirk, Meredith Secrest, and Ryan Freeman analyzed building data for environmental problems and design errors. Mystery Design: UE students Abdullah Alzakari, Chukiat Kanphian, Elyse Massey, and Elizabeth Theriac took on a timed challenge of designing and constructing the tallest tower that could hold a golf-ball using common household items obtained by answering Chicago-based trivia. Quiz Bowl: UE students John East, Hannah Kirk, and Hashem Hatahet answered technical questions based on civil engineering course-work in three elimination rounds. Technical Paper: UE student Stuart Watson presented his paper on the ethical issues surrounding working with different design standards around the world. The ASCE is the oldest professional engineering organization in the United States. Its Great Lakes Conference comprises the following schools: University of Wisconsin-Madison, University of Wisconsin-Milwaukee, Milwaukee School of Engineering, Marquette University, Bradley University, University of Illinois-Chicago, Illinois Institute of Technology, Northwestern University, University of Illinois at Urbana-Champaign, Purdue University at West Lafayette, Purdue University-Calumet, Indiana University-Purdue University Fort Wayne, Indiana State University, University of Southern Indiana, Rose-Hulman Institute of Technology, University of Notre Dame, Trine University, Valparaiso University, and UE. University of Evansville student Forrest J. Plumlee has been named the first recipient of the Ernie Jones Memorial Civil Engineering Scholarship. This $2,500 scholarship will be awarded annually to a junior or senior civil engineering student at UE’s College of Engineering and Computer Science. Plumlee, a resident of Columbus, Indiana, received the scholarship during the University’s 19th annual Engineers Week Banquet hosted by the UE College of Engineering and Computer Science on February 24. The National Association of Tower Erectors (NATE) and the Tower Family Foundation recently announced the establishment of the scholarship during the annual NATE UNITE 2016 conference. Jim Coleman, a member of the Tower Family Foundation board of directors and former NATE chairman, said that NATE and the Tower Family Foundation were honored to recognize Jones’s legacy through the establishment of the scholarship at UE. Jones died tragically in 2015 while inspecting a tower. A structural engineer who worked in the broadcast tower industry for 30 years, Jones served as a professional engineer and president of Consolidated Engineering, Inc., and as vice president of structural engineering at Electronics Research, Inc. He was a member of the TR-14.7 Committee of the Telecommunications Industry Association and Electronics Industry Association, assisting with writing and approving the ANSI-TIA/EIA 222 standard, the American National Standard for steel Antenna Towers and Antenna Supporting Structures. Kathy Jones, widow of Ernie Jones, expressed her appreciation for the establishment of the scholarship. The University of Evansville student section of the American Society of Civil Engineers will conduct UE’s annual balsawood bridge competition on Saturday, February 27. This annual event has been an integral part of ASCE’s community involvement for 46 years. Kindergarten through high school aged children will participate in the competition, which will take place at the Evansville Museum of Arts, History and Science from 11:00 a.m.-2:00 p.m.
Preparations for the competition began a few months ago when participants were given balsawood and design specifications with which to build their bridges. The completed bridges will be brought to the competition where UE civil engineering students will inspect them for compliance with the rules and test their strength. The bridge that holds the most weight but uses the least amount of balsawood wins in different age group categories. The high school junior who places in the top three in the high school category will be offered a scholarship to UE. UE civil engineering student Justin Trevino is the competition’s project manager. The College of Engineering and Computer Science received Professional Engineer exam results from the National Council of Examiners for Engineering and Surveying. The PE exam passing rate for UE civil engineering alumni was 90 percent (9/10) on the October 2015 PE exam, while the national average was 66 percent. Over the past ten years, UE civil engineering alumni have exceeded the national passing rate on the PE exam by about 20 percent. Philip Gerhart, Professor of Mechanical and Civil Engineering and Dean of the College of Engineering and Computer Science, has co-authored the eighth edition of Munson, Young and Okiishi’s Fundamentals of Fluid Mechanics published by John Wiley & Sons, Inc. This text was co-authored by Andrew L. Gerhart, Professor of Mechanical Engineering at Lawrence Technological University (Dr. Gerhart’s son and UE alumnus) and John I. Hochstein, Professor of Mechanical Engineering at the University of Memphis. Fundamentals of Fluid Mechanics is intended to help undergraduate engineering students learn the fundamentals of fluid mechanics. It was developed for use in a first course on fluid mechanics, either one or two semesters/terms. With the eighth edition, the new team of authors continue the distinguished tradition of this text. As it has throughout the past seven editions, the original core prepared by Munson, Young and Okiishi remains. The authors have augmented this fine text, drawing on their many years of teaching experience and based on experience and suggestions from colleagues and students. 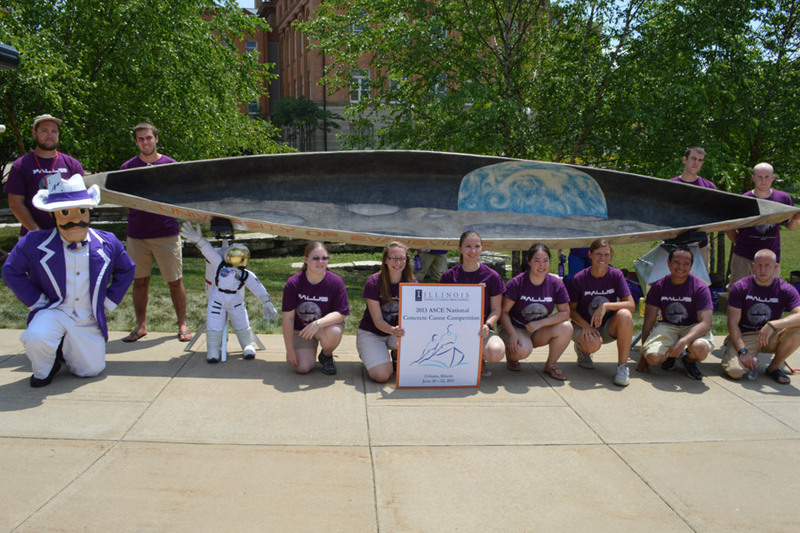 The University of Evansville’s civil engineering Concrete Canoe team earned 16th place overall in the 2015 American Society of Civil Engineers National Concrete Canoe Competition. Teams from some of the top engineering schools in the United States and Canada competed at the event, which was held at Clemson University on June 20-22. The UE team represented the smallest school at the competition. The teams were judged on the design and construction of each canoe and the students’ ability to explain their innovative features in a design report and an oral presentation that included questioning by a panel of civil engineering professionals. In addition, the canoes were put to the test in a series of sprint, endurance, and slalom races. For the first time in UE history, the paddling team placed in the top ten in the Women’s Endurance and Slalom and in the co-ed race. One of the event’s highlights was an exciting finish by the Aces co-ed team in the petit final race when they were narrowly edged out by the University of California at Berkeley. UE associate professor of civil engineering and team advisor Mark Valenzuela traveled with the team to the competition at Clemson University He praised the UE team’s efforts, both for their work preparing for the competition and in their performance at the event. Chris Unzicker, 2015 graduate from the University of Evansville’s civil engineering program, finished first in the nation with his submission to the Daniel W. Mead Student Contest sponsored by the American Society of Civil Engineers (ASCE). Unzicker was presented with the national award at a ceremony held Wednesday, May 27, on UE’s campus. ASCE judges performed a blind review of the submissions and gave awards for the top five papers in this national competition. Universities from across the country submitted just one paper to represent their institution on the topic Should the Engineer of Record (who has a sealed set of plans) be held responsible, to any degree, for injury or death to builders or bystanders that occurs during the construction of his/her design? Entries came from some of the top civil engineering programs in the nation. “The competition was fierce,” says Dr. Brian Swenty, chair of the mechanical and civil engineering department at UE. “To place in the top five is an honor, but Chris placed first in the nation! This speaks well of both Chris and the civil engineering program at UE,” he says. All 15 of UE’s civil engineering 2015 seniors wrote submissions to the contest during the two-semester long senior capstone design sequence. Students submitted draft papers during the fall semester, which were graded and handed back. Students then revised the papers and resubmitted them early in the spring semester. From there, a panel of three judges performed a blind review and selected the best paper to represent UE. 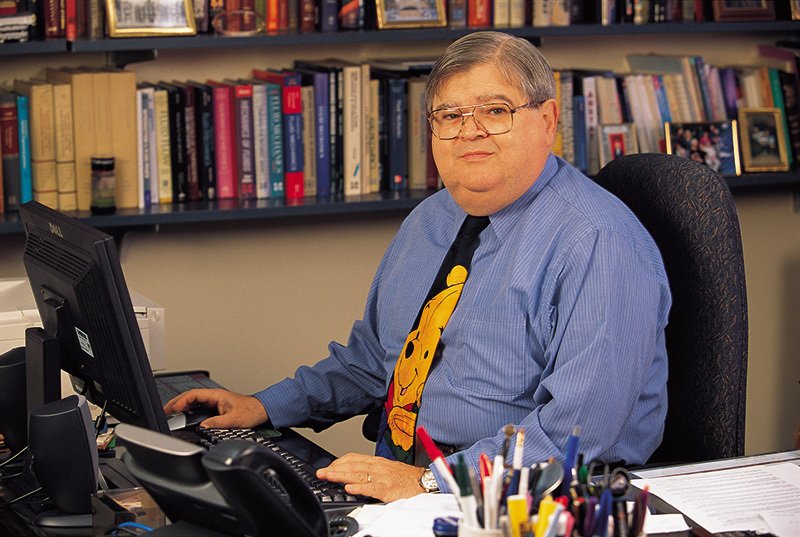 As the author of the best paper, Unzicker was given approximately two weeks to take the judges’ comments into consideration and make final edits to his paper before the submission deadline of March 1. The University of Evansville is hosting its annual Engineering Excellence Day on April 24, from 1:00-5:30 p.m., with engineering projects on display on the East Terrace lawn next to Ridgway University Center. This event is free and open to the public, and everyone is encouraged to stop by and view the projects on display. Projects on display will include the Formula car, Baja Buggy, Firefighting Robots, Steel Bridge, Concrete Canoe, and many more. Engineering students will be on site to explain the projects and answer questions. Tours will also be offered of the Koch Center for Engineering and Science. For more information, please call 812-488-2236 or 812-661-0125. The University of Evansville 2015 Aces Concrete Canoe team has qualified for the National Concrete Canoe Competition. The team secured their spot by coming in second overall in the regional concrete canoe competition at the American Society of Civil Engineers Great Lakes Student Conference. That conference was April 16-19 at the University of Notre Dame. Out of the more than 250 civil engineering programs in the United States, only 25 schools qualify for competition at the national level. The team’s 190-lb, 19.9-ft long canoe Julie, is named in honor of UE civil engineering alumna Julie (Elpers) Otis, who led Aces Concrete Canoe to its first Nationals Competition in 2005. Otis lost her battle with breast cancer in 2013, and the team found inspiration in her fight and in her strength. In all four areas of the competition, design paper, product display, oral presentation, and races, the team came in second behind only the University of Wisconsin-Madison, which has won the National Competition five times. Aces Concrete Canoe placed second ahead of the University of Illinois at Chicago, in design paper, where the technical and project management aspects of the year-long project are discussed. On Friday, April 17, the Aces Concrete Canoe team used their product display to highlight the construction quality, aesthetics, and durability of their canoe, and to honor its namesake’s fight against breast cancer. In product display, the team placed second ahead of Indiana University-Purdue University Fort Wayne. The presentation team delivered a summary on Saturday, April 18, of their year-long work to a panel of civil engineering judges, answering questions based on their presentation and design paper, and coming in second, ahead of third-place Northwestern University. Race day was Friday, consisting of the two-man 600 meter slalom and endurance race, the two-woman slalom and endurance, the two-woman 200 meter sprint race, the two-man 200 meter sprint race, and two-man/two-woman co-ed 400-m sprint race. Except for one race, the paddling team came in second beating out third-place finishers that included Notre Dame (women’s sprint), Marquette (men’s sprint), University of Southern Indiana (co-ed sprint), and Northwestern University (men’s endurance). But in the women’s slalom and endurance, the paddling team beat out the University of Wisconsin-Madison team by nearly a minute to take first place, the only time in 15 years that any school has ever beaten the women’s team from Madison. All 18 schools in the Great Lakes Region fielded canoes this year and included, in addition to the above: Rose-Hulman Institute of Technology, Purdue, Valparaiso, Trine, Purdue University-Calumet, University of Illinois-Urbana-Champaign, Bradley, University of Wisconsin-Milwaukee, Milwaukee School of Engineering, and Illinois Institute of Technology. The University of Evansville was presented with a 2014 NCEES Engineering Award for Connecting Professional Practice and Education during a ceremony on UE’s campus on Tuesday, September 9. The event took place in the Bernhardt Atrium of the Schroeder Family School of Business Administration Building. The University was only one of only six colleges receiving this award from the National Council of Examiners for Engineering and Surveying (NCEES.) UE’s Civil Engineering Program in the College of Engineering and Computer Science will receive $7,500 as a winner of the competition. The student team members were: Chris Kuester and James Gabe, project managers, Matt Blythe, Jamie Johnson, Alex Loehrlein, Hieronymus Mitchell, Zach Neukam, Heather Passey, Alex Schwingerhamer and Kilian Sweet. “These students did an outstanding job, and their design meets state and federal dam safety requirements,” said Brian Swenty, chair of UE’s Mechanical and Civil Engineering Department. The NCEES Engineering Award recognizes engineering programs that encourage collaboration between students and professional engineers. EAC-ABET-accredited programs from all engineering disciplines were invited to submit projects that integrate professional practice and education. The winners were selected by a jury of NCEES members and representatives from academic institutions and professional engineering organizations. Philip Gerhart, dean of UE’s College of Engineering and Computer Science, said competitions such as this one are invaluable to students. The grand prize winner of the competition was Seattle University. Other winners were The Citadel, North Carolina State University, and University of Notre Dame. Profiles of the winning submissions are available online at http://ncees.org/award. The National Council of Examiners for Engineering and Surveying (NCEES) has named the University of Evansville as one of only six colleges nationally to receive a 2014 NCEES Engineering Award for Connecting Professional Practice and Education. UE’s Civil Engineering Program in the College of Engineering and Computer Science will receive $7,500 as a winner of the competition. “The civil engineering students worked eight months on this project and collaborated with a number of stakeholders. They did an outstanding job and their design meets state and federal dam safety requirements,” said Brian Swenty, Chair of the Mechanical and Civil Engineering Department at UE. The ten civil engineering students who worked on the project were Chris Kuester and James Gabe, project managers, Matt Blythe, Jamie Johnson, Alex Loehrlein, Hieronymus Mitchell, Zach Neukam, Heather Passey, Alex Schwingerhamer and Kilian Sweet.. The grand prize winner of the competition was Seattle University. Other winners were The Citadel; North Carolina State University; Seattle University, and University of Notre Dame. Profiles of the winning submissions are available online at http://ncees.org/award. ASCE Student Chapter – Certificate of Commendation, top 15% in U.S.
For more information contact about the University of Evansville College of Engineering and Computer Science visit http://www.evansville.edu or email uerelations@evansville.edu. University of Evansville civil engineering students placed first in the quiz bowl portion of the American Society of Civil Engineering (ASCE) Great Lakes Regional Conference on April 11-12. At the event, hosted by the University of Illinois at Urbana-Champaign, UE’s quiz bowl team came in ahead of such competitors as the University of Notre Dame, Northwestern University, Purdue University-Calumet, and Rose-Hulman Institute of Technology. In the first round, each team answered 40 different questions. The top five teams after the first round then advanced to the last round where they were asked 10 more questions. The final standing was based on teams’ total number of points. Members of UE’s quiz bowl team were: Jamie Johnson, James Gabe, Chris Kuester and Heather Passey. UE placed second overall at the conference which, in addition to the quiz bowl, consisted of concrete canoe, steel bridge, professional ethics paper and presentation, environmental design, surveying, concrete materials, and mystery design. The concrete canoe team with project managers Christina Bernauer and Shannon Osiecki won second place with the canoe “Dark Knight.” Category awards in the concrete canoe competition included third place in races (led by captain Hannah Okray and paddlers Jaclyn Altstadt, Aubin Fowler, Silas Bohlen, George Carroll, Forrest Plumlee and Levi Leffert), second place in design paper (led by academics captain Abby Browder), second place in presentation (with Alejandro Mojica Cadario, Carroll, Bernauer and Osiecki), and second place in final product. The steel bridge team, led by Abby Browder and Alex Schwinghamer, improved the bridge design so that they constructed their bridge 30% faster than last year with the help of team members Hieronymus Mitchell, Noble Rassam, Hannah Kirk, and Forrest Plumlee. Other students who were involved included: Danilo Bortoletto, Helena Leon, David Lopes, and Monica Pinto. UE faculty advisors who traveled with the students were: Associate Professors of Civil Engineering James Allen and Mark Valenzuela and Assistant Professor of Civil Engineering Immanuel Selvaraj. The University of Evansville student section of the American Society of Civil Engineers will conduct the 44th annual balsawood bridge competition on Saturday, February 15. Approximately 200 kindergarten through high school aged children will participate in the event which will take place in Eykamp Hall in Ridgway University Center on UE’s campus from 9:30 a.m. to noon. The top junior winner will be awarded a scholarship to study engineering at UE. He explains that preparations for the event began a few months ago when participants were given balsawood kits to build their bridges. UE civil engineering student Christina Bernauer is the competition’s project manager. Valenzuela notes that Christina was herself a contestant in one of the annual balsawood competitions when she was in grade school. For the second year in a row, an interdisciplinary team of five UE students brought home first-place honors in the Lawrence Technological University Innovation Encounter competition, held October 18-19 in Southfield, Michigan. The UE team included students from engineering, business, and physical therapy. Students representing UE were Vaughn Ahlf (mechanical engineering), Laura Best (mechanical engineering), Andrey Biryuchinskiy (finance and economics), Jawad AlDhalemi (computer engineering), and Annie Wooten (physical therapy). Immanuel Selvaraj, UE assistant professor of civil engineering, coached the team. The competition challenged teams to create a business-level solution for a real-world client’s (Reverie) problem statement in a two-day event. The event engaged students from eight universities in both competition and the appreciation of the skills learned during their academic careers. The competition included educational components, networking opportunities, and valuable feedback. The LTU “Innovation Encounter” provided students the opportunity to work on a real-world problem that required teamwork, business planning, critical thinking, and innovation. In addition to UE, the universities that competed were Gonzaga University, Ohio Northern University, Lawrence Technological University, Villanova University, Saint Louis University, Kettering University, and Widener University. The University of Evansville's College of Engineering and Computer Science will host an engineering pin day for local Webelos Scouts and their leaders. From 7:45 a.m.-11:15 a.m. Saturday, October 26, Webelos Scouts will rotate through hands-on activity stations led by UE engineering and computer science students. The activities can be applied toward earning the Webelos Scout engineering pin. Advance registration with payment of $6 per scout is required. Webelos Scout leaders may obtain forms and information from Tina Newman in UE's College of Engineering and Computer Science, 812-488-2651, or Jennifer Whitaker with the Boy Scouts of America Buffalo Trace Council, 812-423-5246. This fall, the University of Evansville’s College of Engineering and Computer Science will offer a review course for students and community members preparing to take the 2014 Fundamentals of Engineering (FE) exam. The eight-hour FE exam, which will be offered at computer testing centers nationwide beginning in January, is designed for students who are close to finishing an undergraduate engineering degree. It is typically the first step in the process to becoming a licensed professional engineer. The review class is taught by University of Evansville faculty members and offered only once a year. Classes will take place on Thursday nights from 6:30-9 p.m. in UE’s Koch Center for Engineering and Science. This year, classes will be divided based on specific majors: civil engineering (classes run September 26-January 23), electrical and computer engineering (classes run October 31-November 21), and mechanical engineering and other disciplines (September 26-December 5). The deadline to register for the review course is September 25. For more information or to register, please contact the College of Engineering and Computer Science at 812-488-2651. As part of an intensive summer course in applied process development – and an opportunity to make a meaningful impact in a developing country – 15 University of Evansville students will spend the next two weeks in the Dominican Republic. From July 23-August 6, UE business, communication, engineering, and nursing students will work with the nonprofit organization G.O. Ministries to develop plans for the organization’s new medical facility, currently under construction in Santiago, Dominican Republic. UE’s interdisciplinary, faculty-led team is tasked with creating process developments (such as determining efficient patient flow, how to secure medications and archive patient medical records, and more), business plans, and equipment and supply recommendations consistent with accepted United States practices. The two-week course, for which students will receive three hours of academic credit, includes a classroom portion taught by UE professors, as well as fieldwork and observation at the existing G.O. Ministries medical clinic and other relevant sites in the Dominican Republic. The students will receive instruction in health administration, process development, and business plan development. At the conclusion of the course, students will present their findings to G.O. Ministries for implementation in the new medical facility, scheduled for completion in Summer 2014. "I decided to take part in this opportunity because I felt that I had a lot to offer this organization and that it would be a life-changing experience for me personally," said Vaughn Ahlf, a mechanical engineering major from Evansville. "Through the University, I participated on a team that took first place at the Lawerence Tech Innovation Encounter competition, where I learned problem-solving techniques and gained experience working with a multidisciplinary team. I also feel that my experience working as a mechanical engineering intern at the Easter Seals Rehabilitation Center would help me with the medical aspect of this project." UE faculty members accompanying the group are Amy Hall, White Family Endowed Professor and chair of the Dunigan Family Department of Nursing and Health Sciences; Richard Deer, director of UE’s Center for Intensive Experiential Education; and Jill Griffin, director of the Global Assistance Program in UE’s Institute for Global Enterprise. John Layer, associate professor of mechanical engineering, will deliver online course components. Layer facilitated the relationship between UE and G.O. Ministries after he traveled to Haiti and the Dominican Republic with the organization. He saw opportunities for UE students to be involved in the design and planning phase of the organization’s projects. Since then, University of Evansville students have assisted G.O. Ministries on projects in the Dominican Republic (assessing a 40-acre potential building site and designing a three-story building in 2008 and developing a solar water heater in 2010) and Mongolia (designing two new buildings and creating business plans for craft businesses in 2012). UE students traveling to the Dominican Republic are Vaughn Ahlf, Jacquelyn Ballard, Ryan Bassemier, Laura Best, Brandi Blosl, Abby Browder, Mathew Brown, Heather Browning, Renee Croce, Gaby Fifer, Rachel Mendoza-Santiago, Shannon Osiecki, Breianna Simpson, Brenna Siscoe, and Brynne Thompson. The University of Evansville wishes to thank the Institute for Global Enterprise, the Center for Intensive Experiential Education, and the Lilly Endowment for their generous support of this educational experience. The University of Evansville’s Concrete Canoe team won the Innovation Award and earned 10th place overall in the 2013 American Society of Civil Engineers National Concrete Canoe Competition — cracking the top 10 for only the second time in team history. The 26th annual competition took place June 20-22 at the University of Illinois at Urbana-Champaign. Twenty-three teams from some of the top engineering schools in the United States and Canada competed and were judged on the design, construction, innovative features, and racing ability of each concrete canoe. UE’s 13-member team finished sixth in the technical paper category (the team’s highest finish in history), 10th in product design, 11th in oral presentation, 13th in the races, and 10th overall. UE was the smallest school and the only private American university to finish in the top 10. UE also won the competition’s Innovation Award for the strategic use of a dimpled texture to reduce drag on their canoe, “Palus” (an astronomical term to describe a surface feature on the moon). The canoe, which measures 19.9 feet long and weighs 216 pounds, was inspired by an episode of “MythBusters” that investigated whether a car with a dimpled texture like a golf ball could obtain better gas mileage. A photo of team members Chris Kuester and Luc Heidenreich racing "Palus" was featured prominently in The New York Times' coverage of the National Concrete Canoe Competition. The UE Concrete Canoe team was led by Jamie Johnson (project manager), James Gabe, Chris Kuester, and Heather Passey. Members included Jaclyn Altstadt, Christina Bernauer, Abby Browder, George Carroll, Ryan Hayes, Luc Heidenreich, Hieronymus Mitchell, Hannah Okray, and Shannon Osiecki. In 2011, UE hosted the National Concrete Canoe Competition and was the smallest school ever invited to do so. This year marks the fourth time in the past five years that UE has qualified for nationals. For more information on the 26th Annual ASCE National Concrete Canoe Competition, please visit http://www.asce.org/concretecanoe. Kelsey Smith, a 2006 OPTIONS for High School Girls summer camp participant, will serve as mentor-in-residence for girls attending this year’s OPTIONS experience, which explores the vast career possibilities in engineering and computer science. Smith, a resident of Wright-Patterson Air Force Base near Dayton, Ohio, will provide guidance and advice to this year’s OPTIONS for High School Girls attendees as well as teaching. Smith, a Montana native, learned about OPTIONS through the Internet and attended the program before her junior year of high school. She credits the experience for deepening her understanding and interest in the diverse career opportunities in engineering. Smith graduated from high school in Bigfork, Montana, in 2008. There, she received varsity letters in soccer, track, and cheerleading; held leadership positions as speech and debate team captain, student council vice president, and newspaper editor-in-chief; and played first-chair flute. Smith graduated from the United States Air Force Academy in 2012, where she majored in behavioral science with minors in Arabic and Spanish. Upon graduation from the Academy, Smith was commissioned as a 2nd Lieutenant in the Air Force. She currently attends the Air Force Institute of Technology and is studying engineering management – human factors engineering. 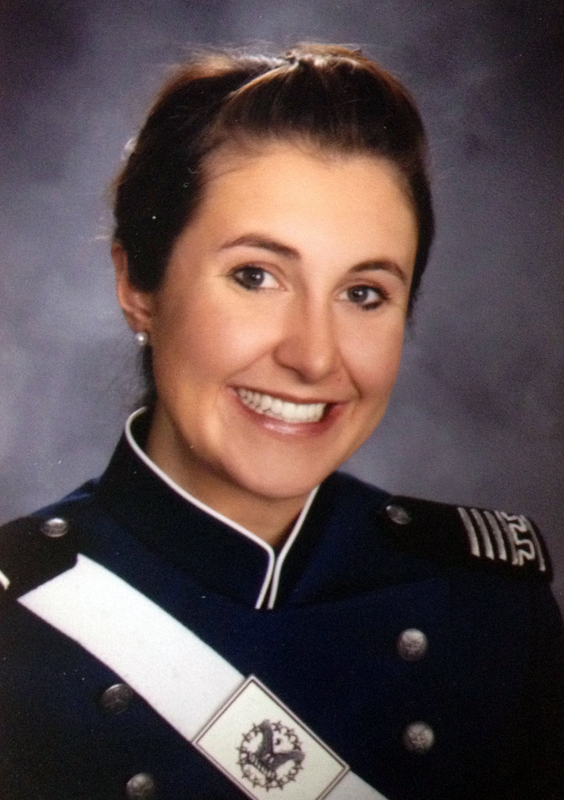 After graduation in 2014, Smith plans to work as a researcher in the Air Force. Openings are still available in both OPTIONS for High School Girls, June 9-14, and OPTIONS for Middle School Girls, June 16-20. Thanks to the Alcoa Foundation, a limited number of scholarships are available for girls from Vanderburgh and Warrick counties. Attendees are welcome from all states and counties. For more information, please contact Tina Newman, OPTIONS program coordinator in the University of Evansville’s College of Engineering and Computer Science, at 812-488-2651. Mark Valenzuela, associate professor of civil engineering, has been named the University of Evansville’s Outstanding Teacher of the Year for 2012-13. He is the first UE faculty member to win this prestigious honor two times. The award, presented annually by the UE Alumni Association, was announced today at the Ford Center during the University’s 155th Commencement ceremony. Valenzuela, known as “Dr. Mark” by his students, first received the Outstanding Teacher of the Year award in 2003. A decade later, thanks to high marks from his students and colleagues, he has earned the award once again. In addition to his teaching duties, Valenzuela serves as the faculty advisor for Chi Epsilon, the national civil engineering honor society; the student chapter of the American Society of Civil Engineers (ASCE); and the Concrete Canoe team, which has qualified for nationals four times in the last five years. Under his leadership, in 2011, UE became the smallest school ever to host the ASCE National Concrete Canoe Competition. Valenzuela is also the vice president of the Southwest Indiana branch of ASCE and a registered professional engineer in the state of Indiana. In addition to the Outstanding Teacher of the Year award, his previous teaching awards include the Dean’s Teaching Award for the College of Engineering and Computer Science (2003 and 2013), a UE Global Scholar award (2008), and the ExCEED New Faculty Excellence in Teaching Award from the American Society of Civil Engineers (2002). Valenzuela holds a PhD and Master of Science in structural engineering from Cornell University and a Bachelor of Engineering in civil and environmental engineering from Vanderbilt University. He came to UE in 1999 and received tenure and promotion to associate professor in 2005. For the fourth time in the past five years, the University of Evansville’s Concrete Canoe team has qualified for the American Society of Civil Engineers National Concrete Canoe Competition, held this year from June 20-22 at the University of Illinois at Urbana-Champaign. UE’s team of civil engineering students earned a bid to nationals by winning the Concrete Canoe competition at the ASCE Great Lakes Student Conference, held April 18-20 at Trine University in Angola, Indiana. UE placed first out of 17 Concrete Canoe teams, besting the perennial powerhouse team from the University of Wisconsin-Madison (which has won regionals 17 of the last 19 years), as well as teams from Purdue University, the University of Illinois at Urbana-Champaign, the University of Notre Dame, Rose-Hulman Institute of Technology, and others. The Concrete Canoe competition consists of four categories: races, oral presentation, final product, and design paper, with each counting equally toward the final score. Because of severe weather during the ASCE Great Lakes Student Conference, the races were canceled, shifting the fight to the academic portion of the competition. This year’s canoe, “Palus” (an astronomical term to describe a surface feature on the moon), is 19.9 feet long and weighs 216 pounds. Inspired by an episode of “MythBusters” that investigated whether a car with a dimpled texture like a golf ball could obtain better gas mileage, the canoe features dimples to help reduce drag in the water. UE Concrete Canoe team members are Jamie Johnson (project manager), Jaclyn Altstadt, Christina Bernauer, Abby Browder, George Carroll, Aubin Fowler, James Gabe, Ryan Hayes, Luc Heidenreich, Amanda Hopf, Chris Kuester, Hieronymus Mitchell, Alejandro Mojica Cadario, Zach Neukam, Hannah Okray, Shannon Osiecki, Heather Passey, Alex Schwinghamer, Katelyn Spainhour, Kilian Sweet, and Bekah Taylor. The annual civil engineering freshman balsawood bridge competition was conducted during the week of November 26-30, 2012. 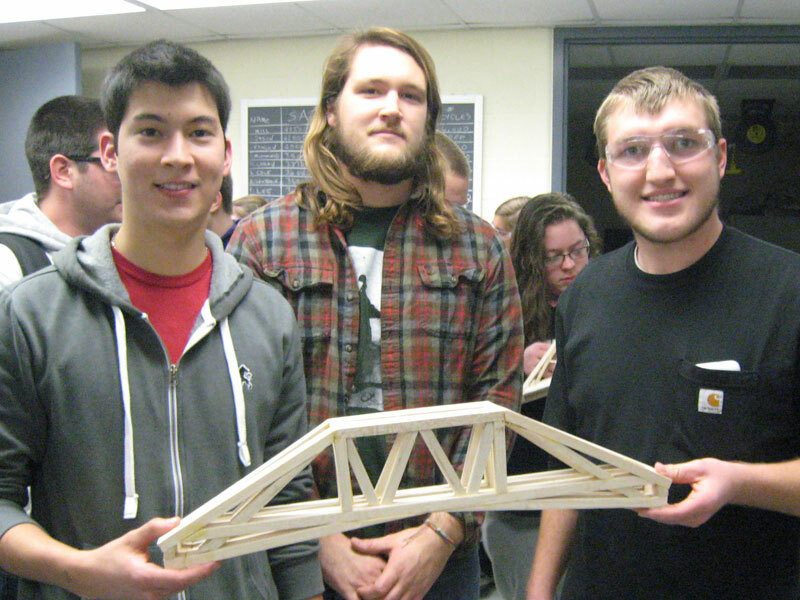 Students made presentations and bridges were tested in UE’s Bowen Engineering Laboratory. The winning team built a bridge with an efficiency rating of 2.41 pounds of load per gram of bridge weight. The winning bridge, pictured, weighed 158 grams or just over 1/3 of a pound, and was able to support a load of 381 pounds as measured on the program’s 50-kip Material Testing Systems (MTS) machine. In their Engineering 101 course, civil engineering freshmen learn about basic mechanics principles, trusses, and different types of bridges. Based on these principles, they are divided into teams and assigned a project to design and construct an efficient bridge from light-weight balsawood and glue. Students are trained to use STAADPro software to assist them in completing their design. The students built their bridges and displayed them at the monthly ASCE meeting on Wednesday, November 28 where they also made presentations to faculty and students about their bridge designs. The next evening, the bridges were tested to failure in the Bowen Engineering Laboratory materials testing lab with the top bridge being the one whose efficiency rating (applied load to self-weight ratio) was the highest. Members of the winning team, pictured, include Alejandro Mojica-Cadario, Hieronymus Mitchell, and Peter Sadler. Against stiff competition from student veteran organizations around Indiana, UE VETS from the University of Evansville today was named the winner of the SVO Hall of Fame Competition, held October 27 in Indianapolis and sponsored by the Military Family Research Institute at Purdue University (MFRI). The event, which was open to the public, showcased the talents and achievements of the top student veteran organizations in Indiana. The University of Evansville was the only private college or university selected to compete. Other participants were Ball State University, Indiana University Southeast (second place), Ivy Tech Bloomington, Ivy Tech Sellersburg, Ivy Tech Wabash Valley, and Purdue University (third place). The event was the culmination of previously held grant competitions sponsored by Operation Diploma, MFRI’s post-secondary education initiative. All organizations presented to a panel of judges before a live audience at the NCAA Hall of Champions. Army veteran Jariah Besing, a civil engineering major from Francisco, Indiana, and Army Reserve member and Iraq veteran Hayli Cingle, a criminal justice and sociology major from Landisville, Pennsylvania, presented on behalf of UE VETS, discussing how the organization provides support and outreach to veterans, current service members, and their families as they transition from the military to college and beyond to the workforce. They received high praise from all of the judges. UE VETS has successfully competed for Operation Diploma grants every year since 2009, and has been named a military-friendly school by G.I. Jobs for four consecutive years. The University’s 2009 partnership with the U.S. Department of Veterans Affairs to serve as a Yellow Ribbon school has led to a 383 percent increase in student veteran enrollment since 2009. The SVO has put on a number of collaborative events, including a Veterans Day 5K Walk, Run, and Roll race, a veterans’ fair, and a citywide book read aimed at increasing understanding of readjustment issues after military deployments. These events engaged a number of different constituencies, including UE alumni veterans, the UE campus, and student veteran organizations at the University of Southern Indiana and Ivy Tech Community College Southwest. During opening remarks at the competition, MFRI Director Shelley MacDermid Wadsworth emphasized that all organizations in attendance earned their way there through exemplary work. The University of Evansville is proud to announce that it has received a $30,000 grant from the Alcoa Foundation in support of OPTIONS, a summer program that introduces middle and high school students to the vast career possibilities in engineering and computer science. The grant will provide scholarships for middle and high school girls to attend OPTIONS in 2013 and 2014, opening up STEM opportunities (science, technology, engineering, and math) to a population that is underrepresented in these career fields. Scholarships will also be available to OPTIONS graduates who enroll in a four-year degree program at UE. During OPTIONS programs, students stay on UE’s campus in a residence hall, complete hands-on projects, take classes taught by UE faculty members, and meet local professional women in the engineering and computer science fields. The University of Evansville wishes to thank the Alcoa Foundation for its generous support of OPTIONS, in addition to other programs and projects at UE. Past Alcoa Foundation grants to the University of Evansville have supported the development of the LEED-certified Ridgway University Center, development of TWICE (the Tri-State Women in Computing and Engineering professional network), student scholarships, and the community-wide RecycleMania initiative. For more information on OPTIONS, please visit options.evansville.edu or contact the College of Engineering and Computer Science at 812-488-2651. Despite unexpected challenges, such as a canoe that cracked in half, the University of Evansville’s Concrete Canoe team earned 12th place overall in the American Society of Civil Engineers National Concrete Canoe Competition — the team’s second highest finish in its 12-year history. The 25th annual competition took place June 14-16 at the University of Nevada, Reno. Twenty-two teams from some of the top engineering schools in the United States and Canada competed and were judged on the design, construction, innovative features, and racing ability of each concrete canoe. UE’s 17-member team finished seventh in the technical paper category, 10th in oral presentation, 13th in the races, and 12th overall. UE was the smallest school and the only private American university that qualified for the competition. One harrowing moment came before the last race on Saturday, when UE’s purple and gray canoe, Tempest (measuring 20 feet long and weighing 250 pounds) cracked in half as team members climbed in. Thanks to help from several other universities’ Concrete Canoe teams and plenty of duct tape, Tempest was patched up in time for the Aces to complete their final race. Last year, UE hosted the National Concrete Canoe Competition and was the smallest school ever invited to do so. This year marks the third time in the past four years that UE has qualified for nationals. For more information on the 25th Annual ASCE National Concrete Canoe Competition, please visit www.asce.org/concretecanoe. This Sunday, 17 UE civil engineering majors will hit the road to Reno, Nevada, where they will compete in the 25th Annual American Society of Civil Engineers National Concrete Canoe Competition. The competition will take place June 14-16 at the University of Nevada, Reno. The competition provides civil engineering students with a practical, hands-on application of the principles they learn in the classroom, along with leadership and project management skills. The 22 teams that qualified for this year’s National Concrete Canoe Competition, representing some of the top engineering schools in the United States and Canada, will be judged on the design, construction, innovative features, and racing ability of each concrete canoe. UE’s purple and gray canoe, “Tempest,” measures 20 feet long and weighs 250 pounds. UE earned a bid to nationals by placing second in the Concrete Canoe competition at the ASCE Great Lakes Student Conference, held April 19-21 at Bradley University in Peoria, Illinois. Out of 14 Concrete Canoe teams, UE finished second behind the University of Wisconsin-Madison, narrowly edging out perennial powerhouse the University of Illinois at Urbana-Champaign to advance to nationals.